Carfentanil is the most potent opioid used commercially, 10,000 times stronger than morphine. 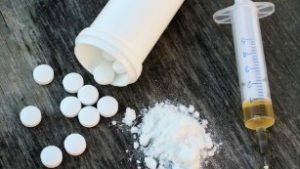 It is a version of fentanyl, the painkiller that most recently made headlines with its role in the death of pop star Prince. Many users may not know they are even taking the drug, officials have said. In July, officials in Hamilton County, Ohio, issued a public health warning (PDF) after seeing 35 overdoses, including six deaths, in a three-day period.